It’s been a bittersweet time in the world of animal lovers. Ringling Brother announced they were agreeing to retire their circus elephants from their traveling show in three years. This is obviously a remarkable landmark victory for animals used for entertainment. No more being chained inside cramped railway cars for 90% of their lives. No more being beaten to preform unnatural tricks. No more separating mothers from their babies to make them dependent and afraid of trainers. 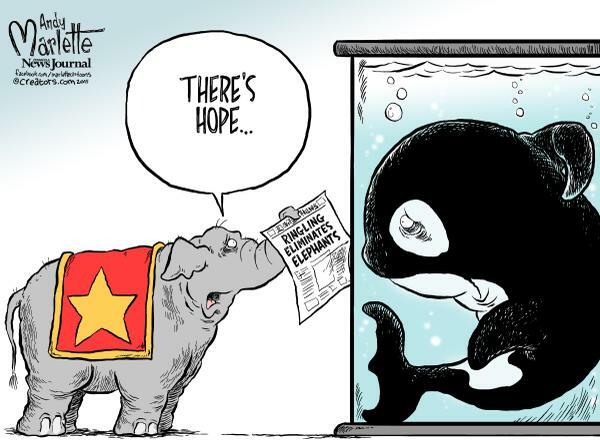 One can only hope this leads to similar announcements for other circus animals and of course those poor whales at Seaworld. But also Sam Simon died. If that name means nothing to you… Sam Simon was one of the creators of The Simpsons and a extraordinary friend to animals who are exploited all over the world. He’s generous donations to animal rights organizations and sanctuaries, hilarious pro-animal humor and his role in creating characters like Lisa (the vegetarian) and Santa’s Little Helper (the rescued greyhound) on one of the most popular TV series of all times mainstreamed animal causes in a way many of long time vegans thought we would only have to dream about. The world lost a lot the day Sam Simon left. So we dedicate this sunny, spicy and kind version of a classic cake to those 13 elephants who are that much closer to retirement and our friend Sam. 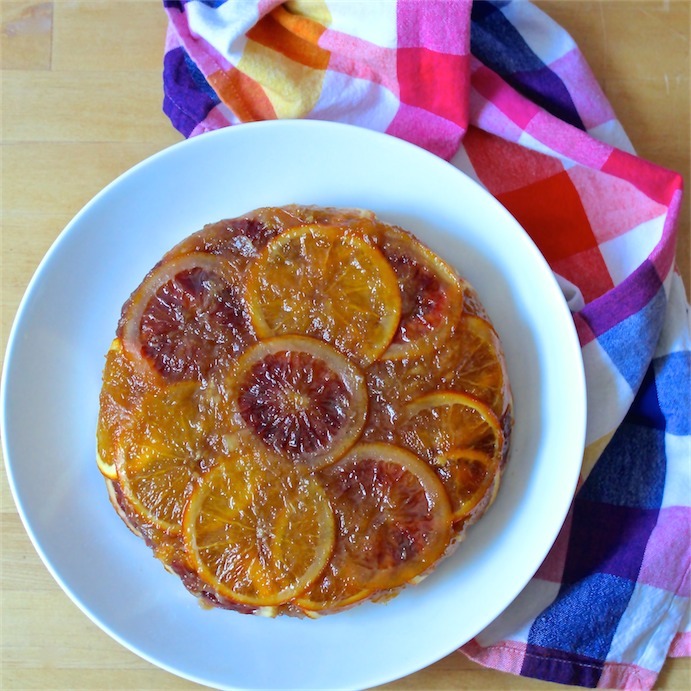 Marmalade Cake is credited as being either a Scottish or an Irish cake depending who you talk to and was given a makeover in the US during the late 1800s with the access to fresh oranges in the South. We gave it yet another makeover by replacing the eggs and dairy with healthier and kinder ingredients like olive oil, flaxseeds, applesauce and soy milk. This simple and delicious cake looks impressive and way more complex than it was to make. It’s also a great way to take advantage of all the lovely citrus available right now. Before we get to baking cakes – just one more thing* – If you follow us on Facebook (Vegan Foods = Joy!) you might have already seen our post about the Saveur Magazine 2015 Best Blog Awards and how we’d gotten a tip that Meet The Shannons was close to getting enough nominations in the category of Best Writing to make it to the next round where people could actually vote for us! ** To quote what we said on our FB page: This is obviously a huge honor and we’re thrilled about the opportunity to represent the vegan community in this mainstream food (and super meaty and cheesy) publication. Only the blogs that get the most nominations make it to the next step of being voted for and we’re up against blogs from all over the world with much larger advertising budgets. So here’s where we ask a favor – if you could just take a minute and nominate MeetTheShannons.com for BEST WRITING on the form you can get to by clicking here – We’d be very grateful! Voting actually ends today March 13th so if you could do it before tomorrow – We’d be even more grateful! Thank you! Let’s eat some Marmalade Cake! Great post. Please clarify how much of the sugar is for the glaze and how much for cake batter. I don’t see those details. Looking forward to making this lovely cake. Oh Thanks for spotting that! Been a long day already….